The Nationwide Insurance: Frank F Amorim in San Diego, CA provides the following products. To learn more about each insurance product, click on the links below. Frank F Amorim has been helping San Diego drivers find better auto insurance coverage since they first opened their doors. Let our agents make sure your policy includes covered damages and claim limits that make sense for the financial protection of your household. Local motorists who come to Frank F Amorim will also know that we've searched for and applied each qualifying policy discount. Some of the possibilities include good student, anti-theft and multi-policy discounts. No amount of defensive driving can prevent every accident, but it is possible to get coverage for a huge range of potential damages. From a list of qualified car repair shops in the San Diego area to Nationwide's AutoWatch® program, the On Your Side® Claims Service is ready should you ever need it. In the meantime, consider rewarding yourself for each year of claims-free driving with the Vanishing Deductible program. 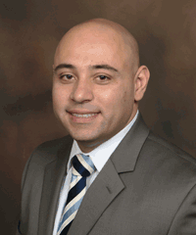 Frank F Amorim can answer questions about coverage limits, policy options or billing schedules. Our expertise and San Diego auto insurance options also include customized solutions for individual households and specialty vehicles. Call us at (858) 381-4004. Choose coverage and buy a policy over the phone, or schedule an appointment with our local office. Frank F Amorim is located at 4340 Genesee Ave.
Buying a home is a big step; this decision holds the key to a stable, more financially sound future. Homeowners and their families deserve the right kind of protection, which is why Frank F Amorim offers comprehensive home insurance coverage. Protecting this important investment goes a long way towards ensuring that your home is there for you today and tomorrow. Enjoy knowing that you are creating a legacy that will see you through the many years to come. Frank Amorim is here to help you find the right coverage for your home. Our San Diego agency offers personalized Nationwide insurance products that give homeowners the coverage they need. Customizing insurance solutions to your needs is part of what makes our work so valuable. We go the extra mile to make sure that your home receives the coverage it requires. The result is a policy that addresses the distinctive needs of your home, the surrounding property, and even structures like free-standing garages. If you bought your home a while back but are looking to switch to a different policy provider, the Frank F Amorim team can help. By evaluating your current needs as a homeowner we can make recommendations regarding improved lines of coverage. This is a great way to get personalized advice that speaks directly to your individual concerns. To speak with Frank Amorim or any other member of our team, visit our 4340 Genesee Ave office or call us at (858) 381-4004. No matter if you have a family, a spouse or are single, you need a life insurance plan built with the help of Frank Amorim in San Diego. Your plan is intended to provide you and the people most important to you with complete peace of mind, but you might be uncertain as to what kind of protection is best for your particular needs. Know that you have quick and easy access to professional help to ease your mental burden. If you’re unsatisfied with your current life insurance protection, or if you’re getting insurance for the first time, do yourself a favor and work with a life insurance agent who cares. When you’re ready, we’ll be waiting for you at Frank F Amorim located at 4340 Genesee Ave,San Diego,CA,92117. You’re also more than welcome to speak with Frank Amorim directly by calling (858) 381-4004. Many San Diego businesses have partnered with Nationwide and the Frank F Amorim to protect against coverable losses. Our risk management advisors can build a policy customized for your company, whether it's a business owner's policy or stand-alone commercial insurance products. We can help you understand the different types of policies and coverage programs. We can show you how to choose a billing option that makes it easier for your San Diego company to pursue future growth. Frank F Amorim is located at 4340 Genesee Ave, but we help businesses throughout the greater San Diego area. Give us a call at (858) 381-4004, and let us protect what you've worked so hard to build. The Frank F Amorim also offers products in AZ, CA, TX. Please call for information on products in those states. Over the last 80 years, Nationwide has grown from a small mutual auto insurer owned by policyholders to one of the largest insurance company in the world, with more than $135 billion in statutory assets. Come in and meet Agent Frank Amorim.We are equipped to address needs analysis, not only in home and car but also in life and commercial matters. In essence, we are a one stop shop where all your risks may be reviewed.